Instead of the size of a Company, maintaining customer relationships are critical for every business. This is the reason why CRM systems like Salesforce are taken indispensable to businesses. With an effective CRM system, you could manage everything from generating leads to prospects nurturing and maintaining healthy interactions with customers all at one centralized system. This does not matter either you are running a small business or a large e-commerce set up. Almost every industry is benefitted from CRM implementation. So, how should you check either Salesforce CRM is the right choice for your business or not? If you are also planning for Salesforce implementation at your Company, focus on these four questions to check either selected CRM is the optimum choice for your business needs or you need to find another. How can we have benefitted by a deeper understanding of customers? What are the tools requirements for scaling? Does data handling is tough that further helps in decision making? Does your business need automated processes or AI? Let us discuss each of the questions in detail ahead. 1). How can we have benefitted by a deeper understanding of customers? Every customer needs personalization and most of them judge Company behavior before buying any product or service. Many times, customers stop buying from a particular Company just because their competitors were able to deliver better experiences. In simple words, outstanding customer experiences are the foremost demand in the modern marketplace. Further, if you wanted to deliver personalization then this is necessary keeping a record of past transactions that will tell you about customer needs and preferences. 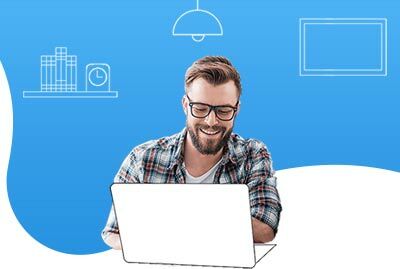 It will also help you in understanding your customers deeply and Salesforce has all these benefits to offer to their clients. With Salesforce, you can identify the most potential leads and set scores for the same. It will help you to reach the important leads or prospects on priority and delivering needed information to the sales team as well. Now salesperson knows how to close the deal effectively and increase the overall chances of success as well. Further, Salesforce gives a 360 view of each customer so that you could always deliver consistent brand experience across multiple channels. It will help to access the same information about a customer across Company and they could start interactions where they left the last. With a complete picture of each customer, they can be retained longer and this is easy generating new leads too. When all customer details are added to one place, organizing marketing campaigns are much easier and they are more successful too. In this way, customers are just getting exception experiences like never before. 2). What are the tools requirements for scaling? If your Company is planning to grow in the near future, then Salesforce can definitely help you in scaling. Here, you need to put marketing, sales activities, and customer experiences together in the best possible manner before your Company outgrows. You should focus on the process first before adopting any technology solution because technology is proven good only if the process is good. With the help of right processes, this is always easy to prepare your business for scaling and you can always leverage the Salesforce technology here to take your business forward. Salesforce is available in multiple licensed versions, customization features, and integrations. The CRM is able to support the workflows and processes of a large enterprise effectively. When your Company grows, Salesforce services can also grow relatively. 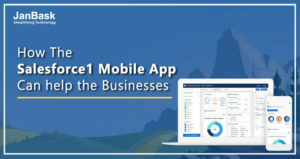 Today, Salesforce AppExchange contains more than 3K apps that can be quickly integrated with your app as you need them. In simple words, Salesforce servers your Company today and for future as well, no matter how fast your requirements to scale grow. 3). Does data handling is tough that further helps in decision making? When we handle a lot of information together related to multiple customers, their behavior, interests then it may lead to data silos especially when different systems are used by Company for data management. Here, you need to derive meaningful insights from data structures that further leads to effective decision-making. With Salesforce, you can store all the data in one place only and team members can access the information from a centralized system when they need it. With the introduction of the customer 360 feature, this is easy to pull information from multiple departments and view it together in one comprehensive model. Salesforce updates customer data automatically and also provides robust analytics services or reporting capabilities to give you a full picture of the health of your business. When you are working with Salesforce, you have customer details, performance reports, sales objectives, sales forecasts values at your fingertips. With the help of powerful analytical capabilities, you can always make well-informed decisions and improve the business profitability too. 4). Does your business need automated processes or AI? Leveraging AI and automation with your business is always easy with the Salesforce. This cloud-based CRM can automate workflows, tedious manual tasks and makes your work more impactful especially marketing strategies, marketing campaigns, prospects dealing, and delivering high-level customer services. A few things that can be automated with Salesforce include Sales, Marketing, Quoting, Customer Services etc. The CRM system will automatically remind you of events and showing customers how much you value them. 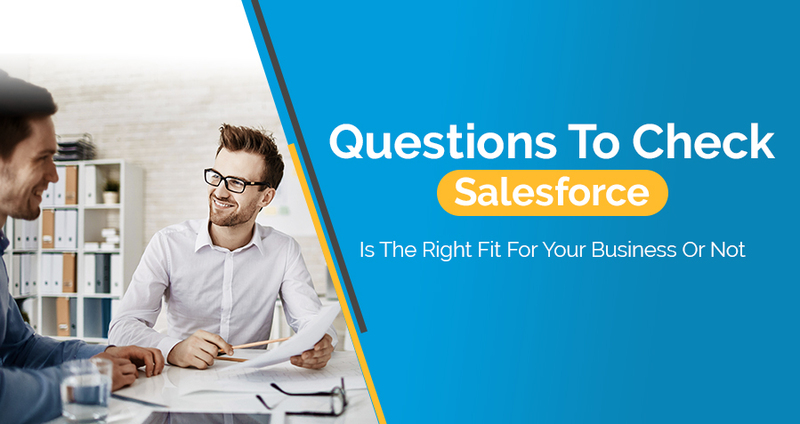 If your answer is ‘YES’ for any of above-listed questions then Salesforce is just the right fit for your Company and it will definitely help in strengthening your relationships with customers when needed. Now, all you need is an expert Salesforce consultant that can help you to explore the potential of the platform as your CRM solution.